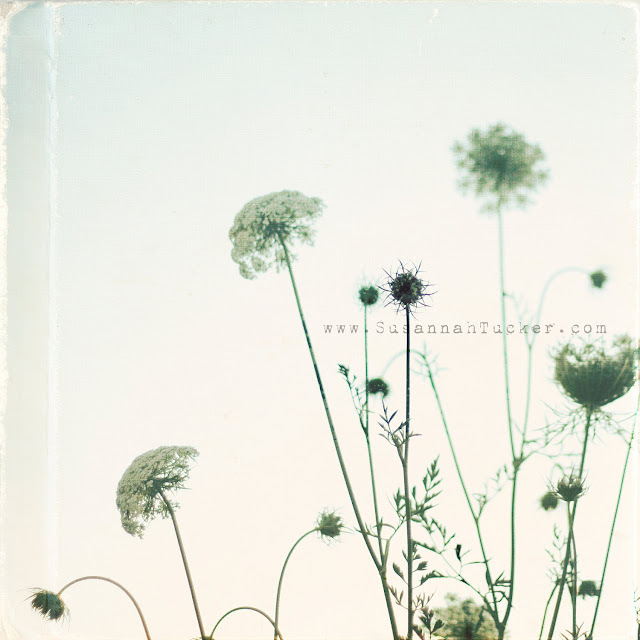 I dare you to visit photographer Susannah Tucker's online Etsy store and not fall in love. Her images are beautiful, whimsical and nostalgic. 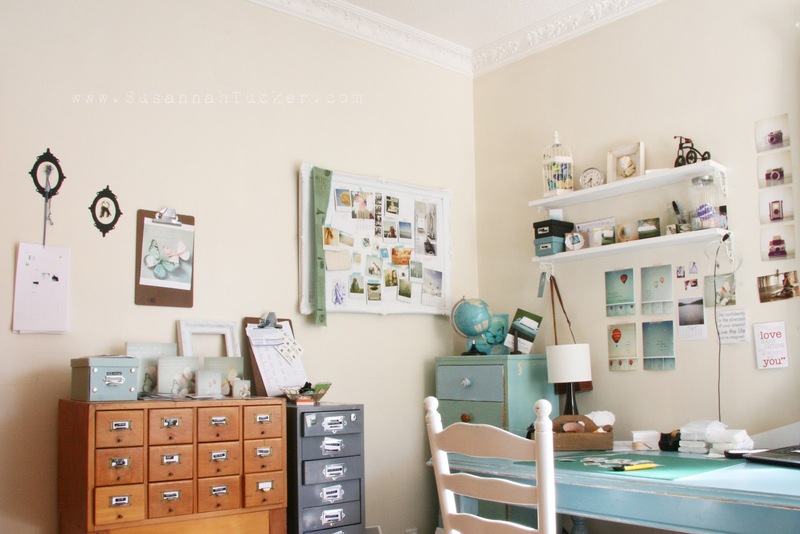 Her vintage style conjures up a dream-like floaty feeling. Check out her work and you'll know exactly what I mean. On her website she lists her inspirations: "all things vintage, dandelion wishes, spring blossoms and brown paper packages tied with string." So lovely! All this shows in her subject matter which reveals an appreciation of nature, childhood, adventure and pretty things. 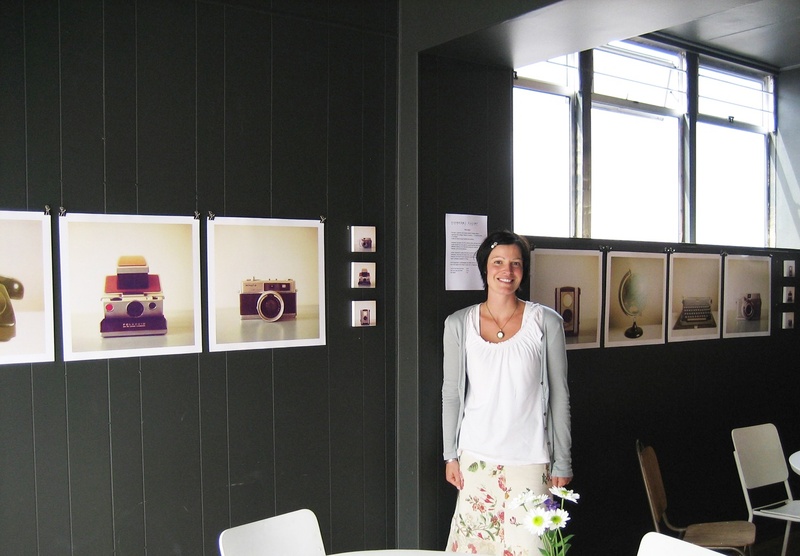 Susannah has turned her pastime into a successful business with online stores, stockists in several countries, lots of wonderful press and even a solo exhibition of her 'Nostalgia' series at the Photographers Gallery, Hawkes Bay, New Zealand. (I already own one of Susannah's photo blocks and the minute I get an iPhone I will be buying one of these skins...but which one? Oh, the decisions!) But you know what's so unbelievably amazing? Susannah is entirely self-taught. Wow. I'm blown-away by her talent, her dedication and her obvious love of photography. Susannah lived in Melbourne, Australia for several years and was a regular stallholder at design markets. Sadly for Australia, but happily for New Zealand, Susannah has returned to her country of birth and now calls small town, New Zealand home...Welcome, Susannah! 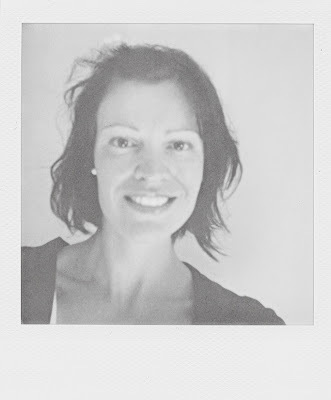 My name is Susannah, I am a full time mother to two little ones, and part-time photo taker living in small town New Zealand. I would describe myself as a fine art photographer who loves all things that evoke a sense of nostalgia, all things whimsical, and getting lost in a daydream.... I love to work with textures and layers in Photoshop to give my photos a vintage feel. Since starting to sell my work I have four achievements I am quite proud of – I had photos appear in Home Beautiful magazine (Australia October 2010) and Oh Baby (New Zealand Spring 2011); I now license through Getty Images; have a licensing agreement with a wonderful company here in New Zealand, and was one of 15 finalists in an international Polaroid competition. I have dreams, hopes and goals for the future but it is nice to remind yourself of achievements along the way – I hadn’t thought recently of these, I have been putting pressure on myself to get going on projects for this year, so thank you for the reminder to stop and be grateful for these achievements! When did you know you wanted to work creatively and what steps did you take to make it happen? I think I was always heading towards a creative path, I used to work in an office and felt so...uninspired. I loved to take photos and dreamt of being a photographer. However I thought that I had to study photography in order to ‘be’ a photographer. When my daughter was born, and I left office work to be a full time mother, I started to spend more time taking photos and thinking about how I could make it work. I discovered Etsy, and after a few months I worked up the courage to open a shop. I took the next step and had a few market stalls, and it’s all evolved since then. Do you have any routines or rituals you perform before starting a photo shoot or new project/series? How do you motivate yourself? I don’t really have any routines – I do like to work in a tidy space, so if I am about to embark on editing at the computer, or photographing a new object, I have to make sure I have a tidy studio room. It sounds a bit boring, but for me, I have to be free of clutter around me! You're a mum to two gorgeous children. How do you manage your time between parenting, the creative side of your work and the administrative tasks? It is the constant juggling isn’t it – and I know I am not the only one facing this! It is getting a lot easier for me as I have one at school, and one about to start kindy, so I know that soon I will have more time to work. When they were both small and at home all day with me – it was really really hard. But when you have a passion you always find a way to make it work. I find that in the early afternoons I set my 3 year old up with books to have a rest/sleep and can take some photos, or on the weekends I can get out to shoot, and then I save the editing for the evenings (when it is too dark to take any photos). Often, we go on family adventures somewhere I would like to shoot (the beach, the hot air balloon festival), so we combine family time with my camera play. I must admit that sometimes I put the admin tasks aside for a bit....when I am uninspired I just like to leave the door to my studio room shut, and then when I feel the burst I tidy up and get stuck in to the admin, so I am ready to do the fun stuff. I have to also constantly remind myself that good things take time....so as to not feel the stress of trying to achieve everything all now, and keep up with what everyone else is doing. How do you go about developing new ideas for photographs, series of work and new products? This is a bit tricky to answer as often the ideas present themselves to me, I don’t seek them out. Sometimes I am asked by a customer for a photo/series of a specific subject, sometimes there are local events that mean an entire series (like the hot air balloon festival here in Carterton) is born. I have approached other artists about collaborating, and have been approached by artists/companies. That is what is so exciting about the web, you never know who is going to see your work and what it might lead to. There is so much opportunity out there, I can’t wait to see what the future brings. A few things can work for me - I either head to the beach, take photos of the kids, visit a homewares shop to see if there are any little objects that catch my eye for a new series (that is how I found the Butterflies and The Little Birds) or bring fresh flowers inside. I also have learnt that sometimes, there just is no inspiration and I need a complete break and that is ok. The first few times that happened, I panicked thinking that was it, I wasn’t going to ever take any new ‘good’ photos, it was all over! But now I trust that it will return and then I feel the passion for it all again. It is all about the ebb and flow, and really, the down time makes the flow so much more exhilarating....when you stay up late editing photos and can’t wait to share them as you love them so much. Can you tell us your favourite equipment to work with? I love Canon. I adore Polaroid. I love playing with actions and textures in Photoshop, the Florabella range are my favourite. The little Fuji Instax is so fun. In terms of props – my hands down favourite as a background for my still life/fine art work is our blue table (story here). I love seeking out new props in second hand shops – any old cameras or cute little props for the kids to play with are rarely left behind! Thank you so much, Susannah! What a wonderfully inspiring interview. 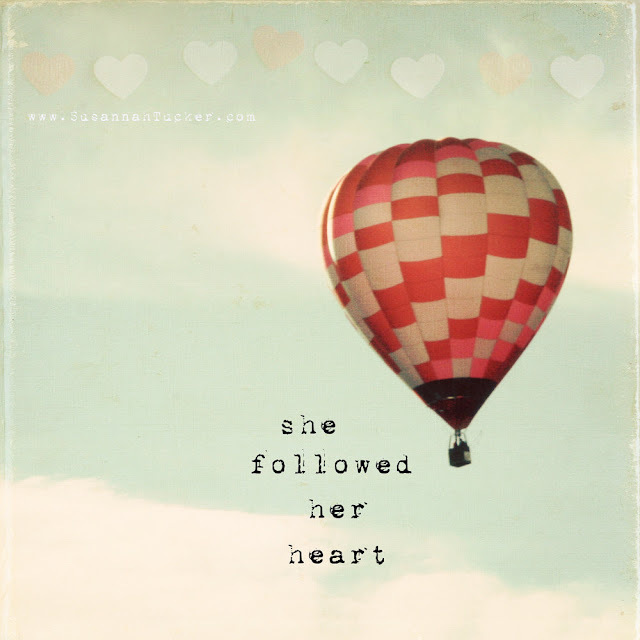 I'm so honoured to feature you here. Thanks so much for your time and your fascinating and thoughtful answers.